We arrived unannounced at Warung Kita @ Kg Melayu Sungai Buloh to check out their food after communicating with manager Mohd Tarmin Fauzi nearly a month prior. By about 6pm, they were already closing, and most of the food was already sold for the day, but people kept streaming in to make more orders. 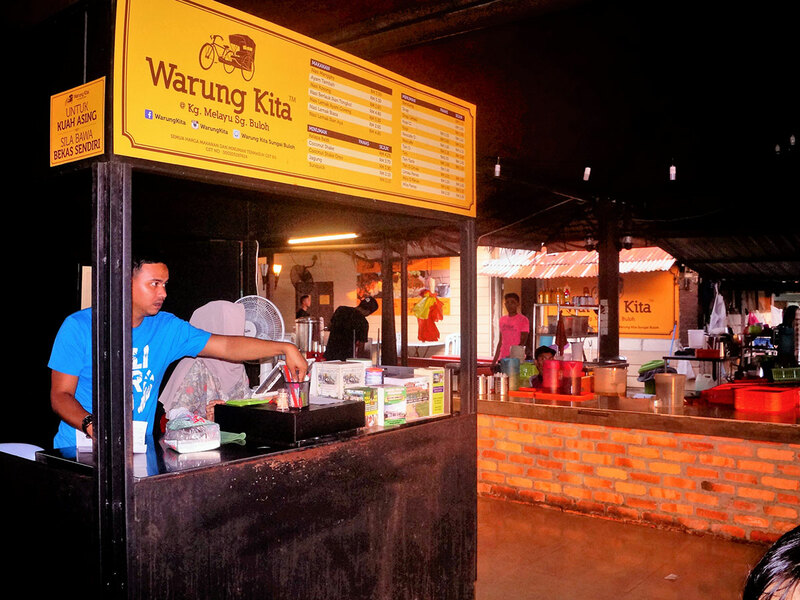 Warung Kita is only a simple stall with about 100 seats, and the place is usually packed on weekends as it is open as early as 7am. The food here is attractive for two reasons. 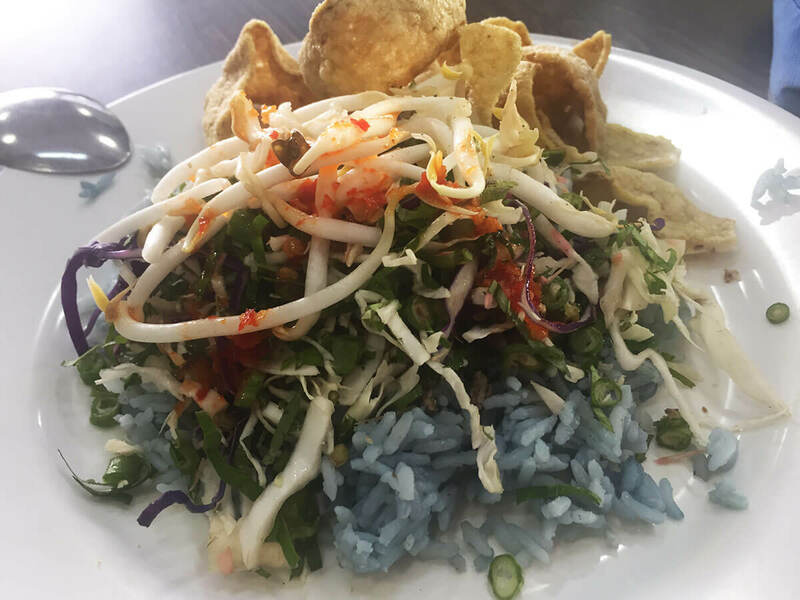 It is relatively cheap, compared to restaurants in areas with higher rent, but more importantly, it tastes just how Kelantanese food should. Its signature dish, nasi manggey, which comes with curry gravy, steamed rice and sambal belacan, costs only RM5.50 a plate. They use cili padi for the sambal belacan, which gives it an extra kick. I can fully understand why. 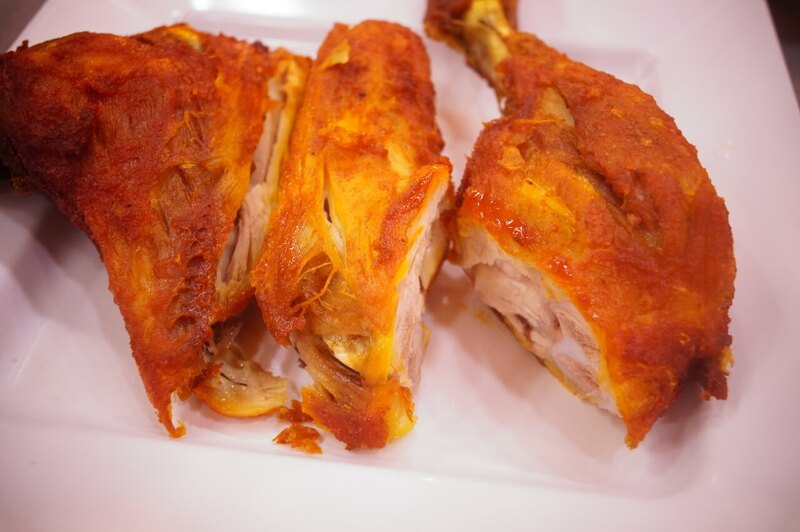 At that price, it also comes with a piece of fried chicken or ayam cincang. 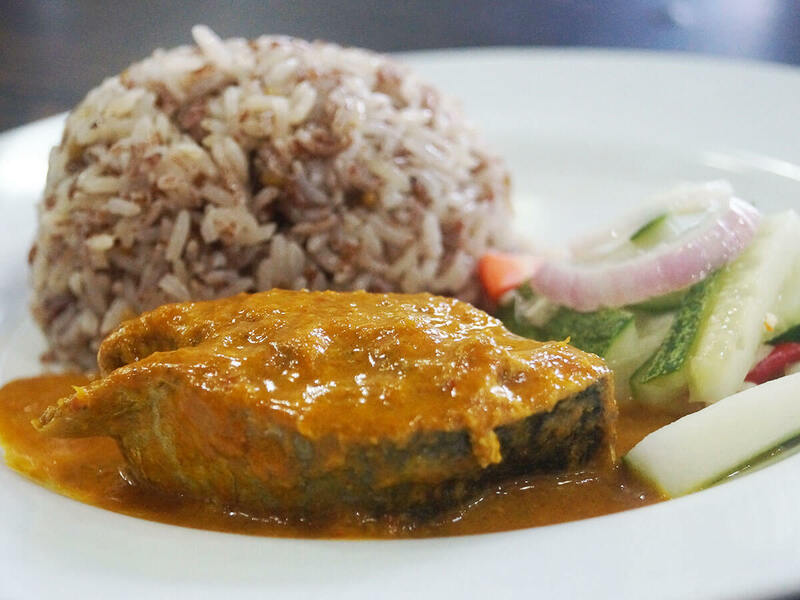 In fact, the Kelantanese recipes are from the mother of stall owner Mohd Khairi Abdul Karim. 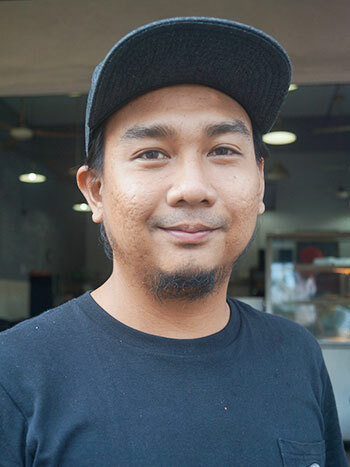 Khairul has successfully set up three other Warung Kita, apart from this one in Sungai Buloh. The other three are in Klang, Bangi, and Bandar Baru Ampang. 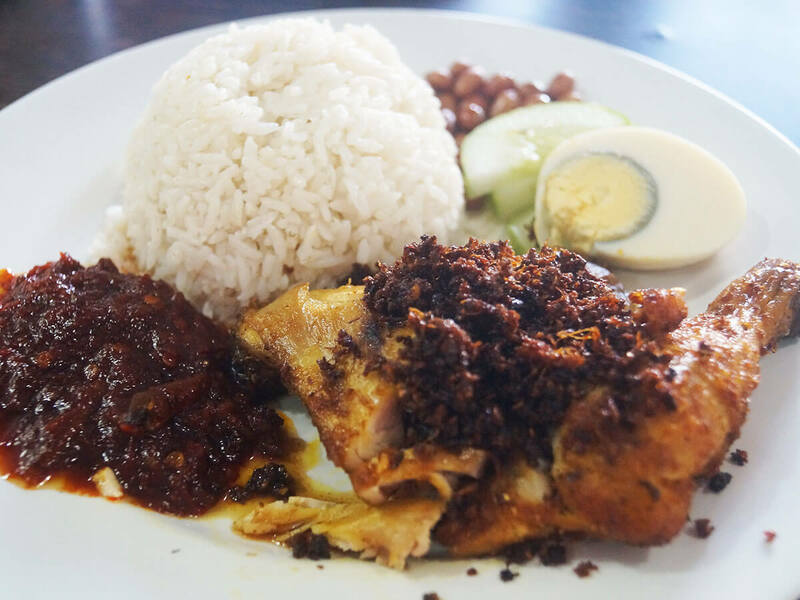 Their nasi lemak ikan tongkol, which costs only RM4.80, is available only in the morning. 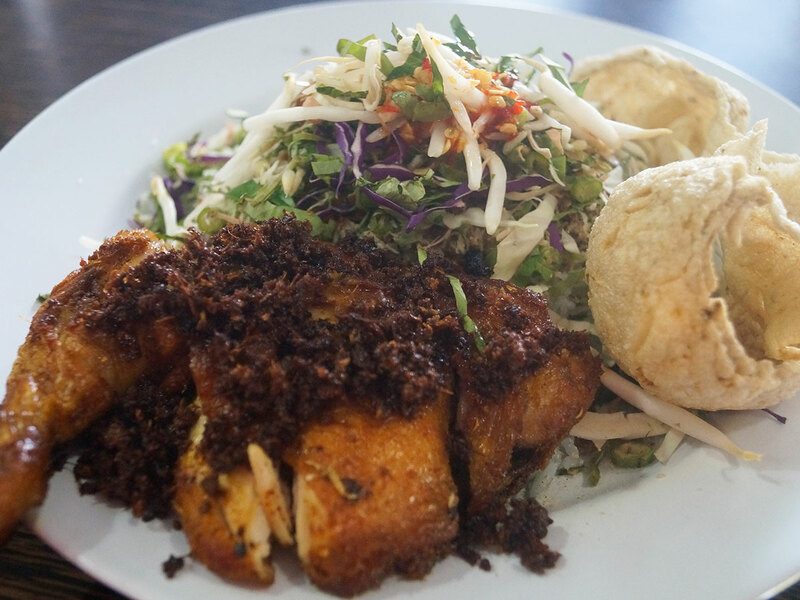 Also priced the same is their popular nasi berlauk ikan tongkol. You can also enjoy their coconut shake – coconut water served with a scoop of vanilla ice cream, priced at just RM3.70 – especially on a hot day. For those who like their coconut water plain, you can also order their kelapa baldi, which is priced at RM4.25. 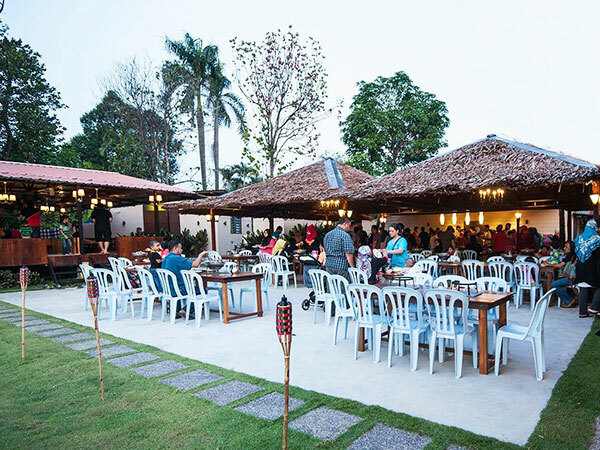 While Warung Kita attracts mainly locals from the area, others come from afar with their families and friends – not just for the great food, but for the kampung atmosphere, especially since you can also choose to have your meal while duduk santai in special palm-covered booths. Warung [email protected] Buloh is located at 95, Jalan Kusta, Kampung Melayu Batu 13, 47000 Sungai Buloh, Selangor. 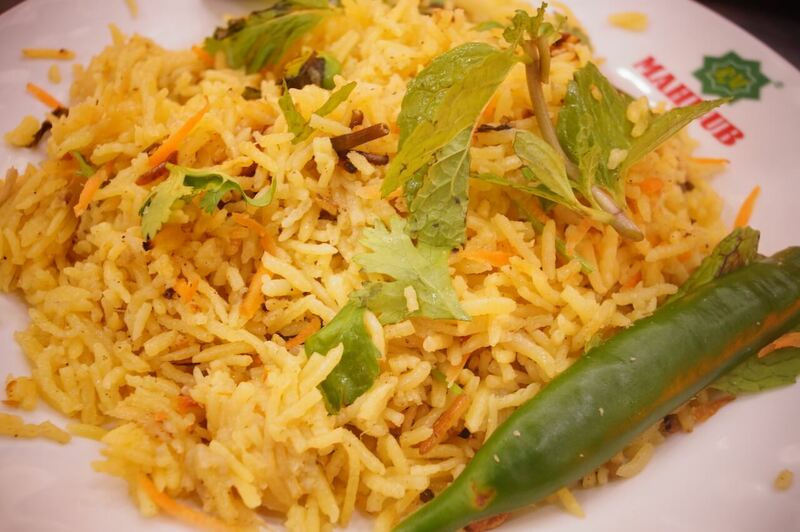 There is nothing like biryani from the source. We never flew to Hyderabad to taste biryani the way it was prepared for the Nizams, but we did go to the next best place: Hyderabad Recipes. Our “flight” to Hyderabad Recipes was with two friends, Barnabas and Adelaine Boon, a couple in their sixties, to savour what has been called the best biryani in Kuala Lumpur. They told me that the biryani here was “an exception,” and I agree. But I did something else. 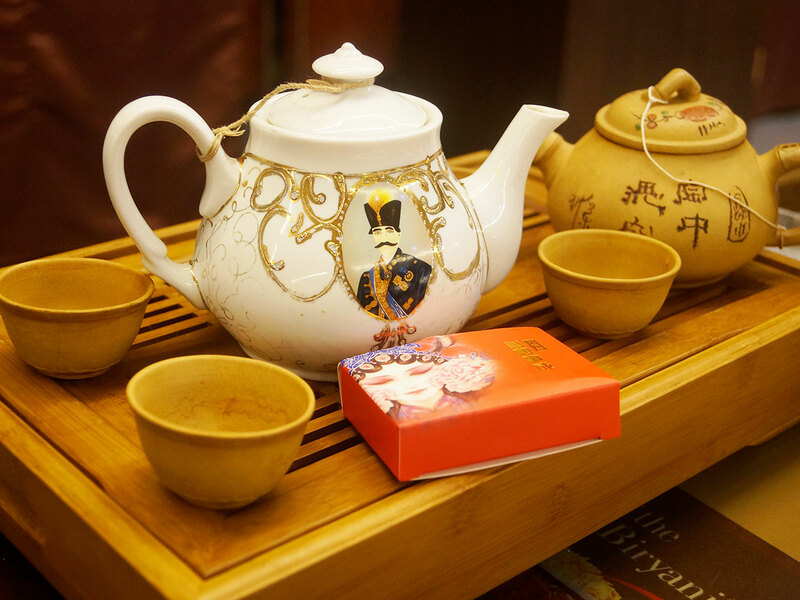 Because I wanted the couple to sample Mao Sheng Liu Bao tea as well, I brought along a Chinese tea set to Hyderabad Recipes – a practice which I hope will set a new trend here in Malaysia! 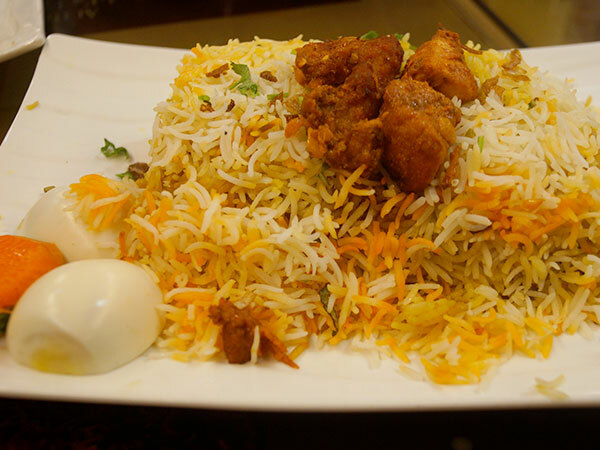 One of Hyderabad Recipes’ directors, Jasbeer Singh Kaura, and his very proactive operations manager, Jagannath, invited us to taste their “world famous dum biryani.” But later I found out that Jasbeer and I have something in common. 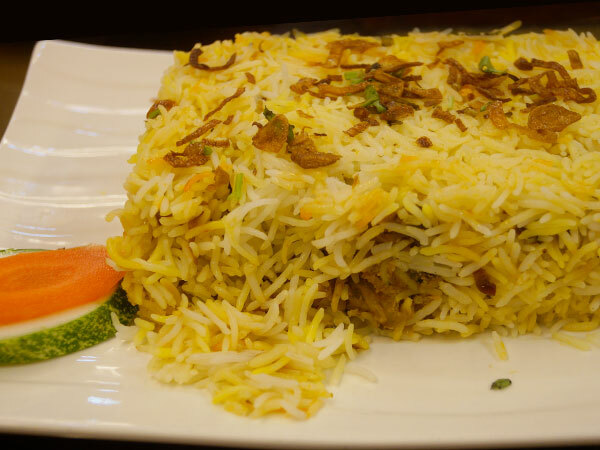 Even Adelaine, who hardly eats mutton, agreed that the special mutton biryani lived up to its name, because of the soft texture, and the lack of the strong odour that puts many people off the meat. But the special chicken biryani was my favourite. Like a hidden treasure buried in the basmati rice, the chicken is slightly spicy, but went excellently with the Chinese tea. And it helps with digestion, too. 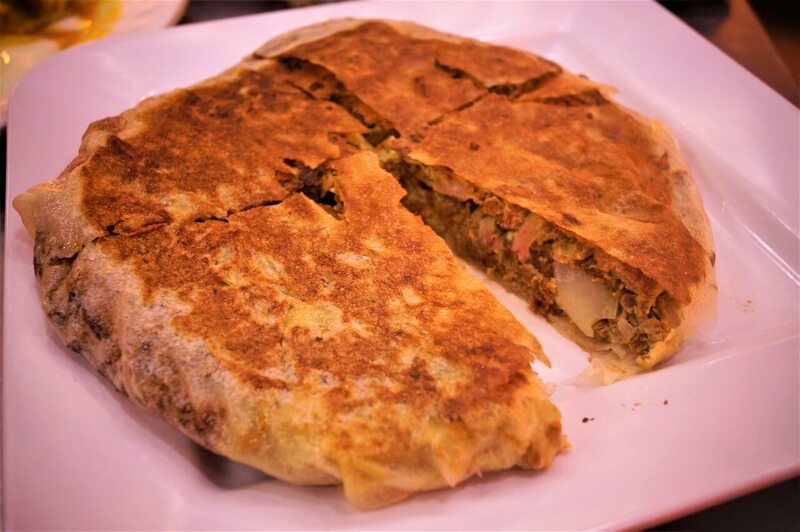 My suggestion is that if you are going to try out the food here at Hyderabad Recipes, you should bring along your favourite Chinese tea. They can even provide the pots and small cups at no corkage fee; otherwise, their masala tea is just as good to help with digestion. 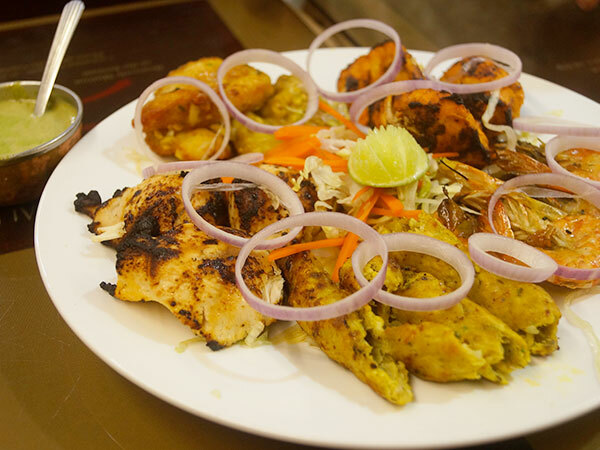 If you are coming with a bigger group, I suggest you order their full portion BBQ platter, with tandoori chicken, grilled dory, prawns and mutton kebab. We were particularly mesmerised by the fish! 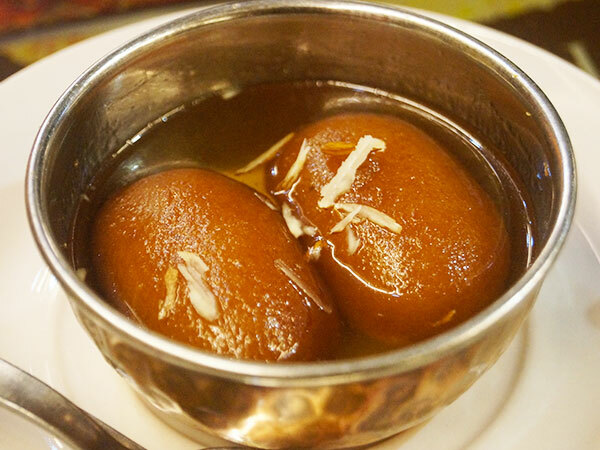 According to Jasbeer, he first discovered the magic of Hyderabadi food to be very good when he was based there. 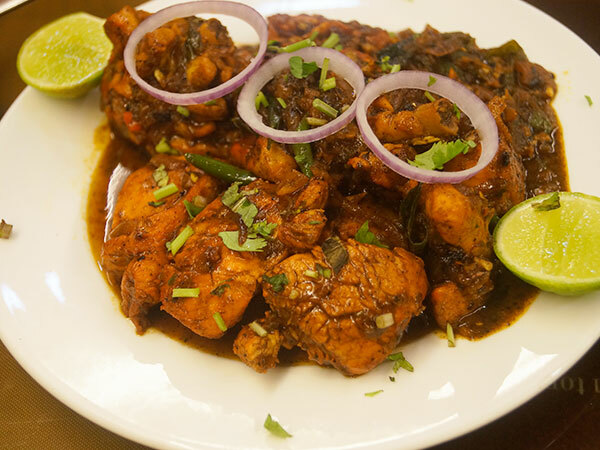 Two of their signature dishes – the Hyderabadi fried chicken and Hyderabadi mutton fry – are best eaten with naan. As for naan toppings, you can choose from with garlic, chilli powder, sesame seed and mint leaves. 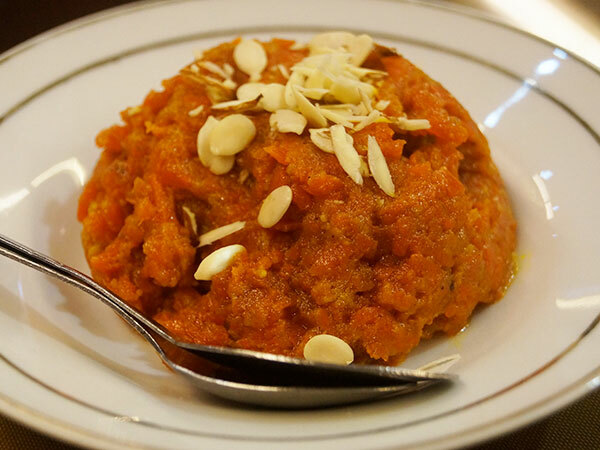 For desserts, though the gulab jamun reigns supreme for most, my personal preference is the carrot halwa, since I don’t have a sweet tooth. 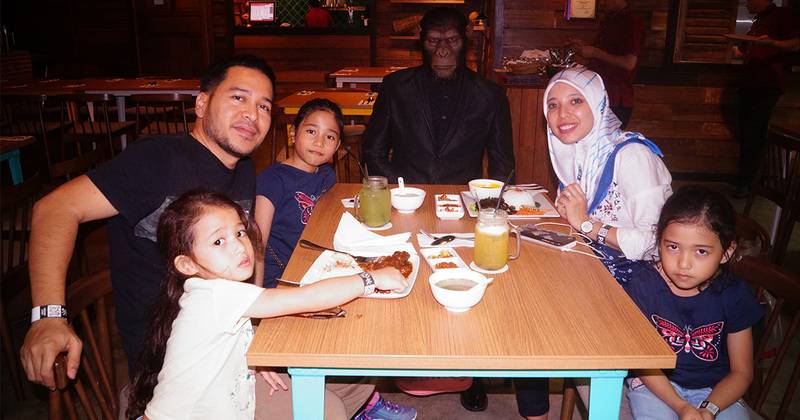 And most amazingly, for a meal with for four adults and two children, the bill came up to just over RM100! 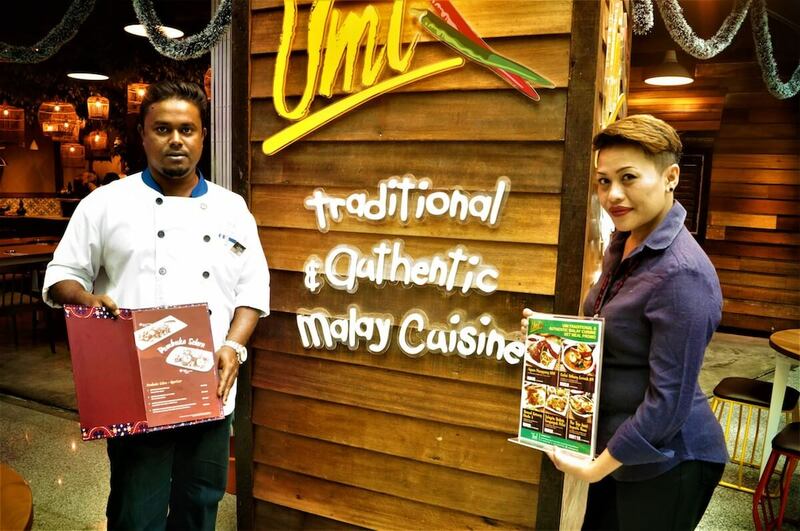 For the coming month of Ramadhan, their specials will include two flavours of chicken and mutton haleem. 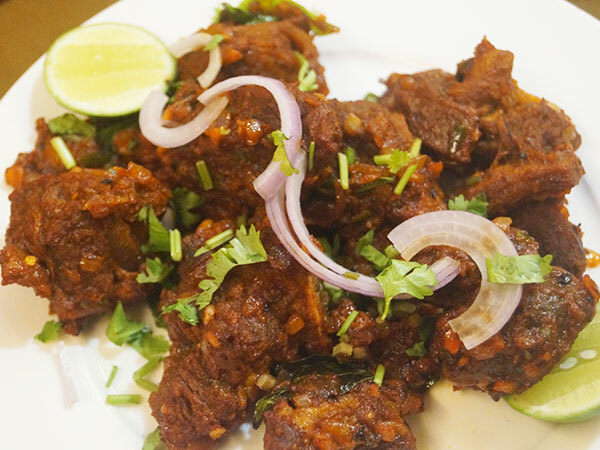 They also specialise in bheja fry (goat brains), malai paya (mutton soup), but these two dishes are only available for special orders and for catering purposes. 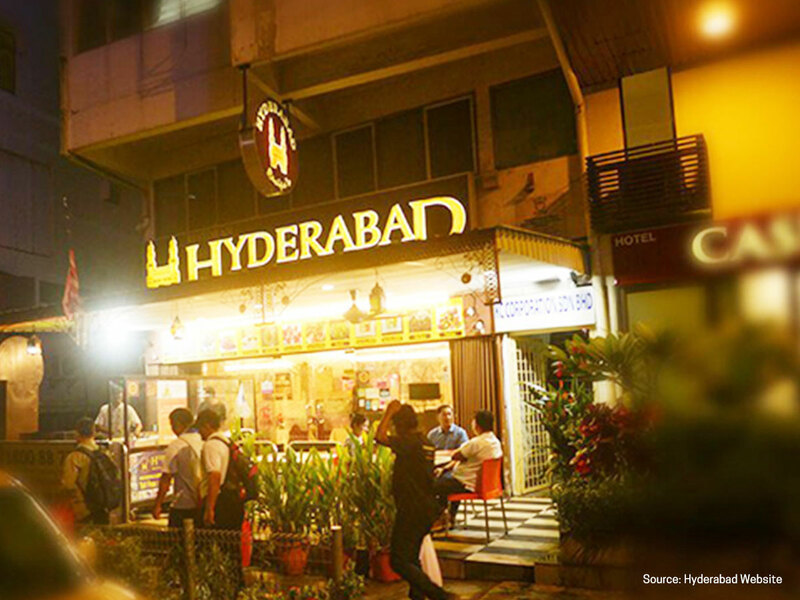 Hyderabad Recipes is located at No 78-1 Jalan Putra, near the Putra World Trade Centre in Kuala Lumpur. There is a nice parking lot just 50 metres away. 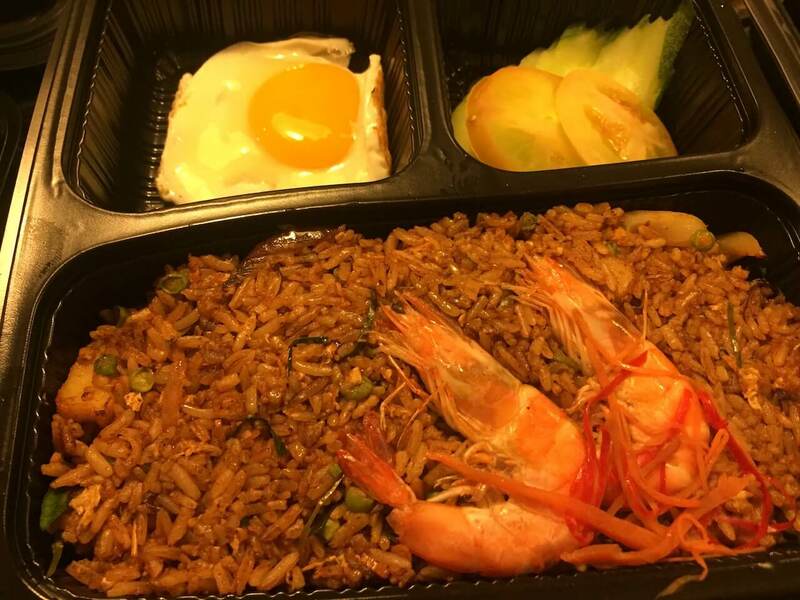 With both parents working these days, online food deliveries are gaining traction fast especially when the food is delicious and appetising to both parents and their children. 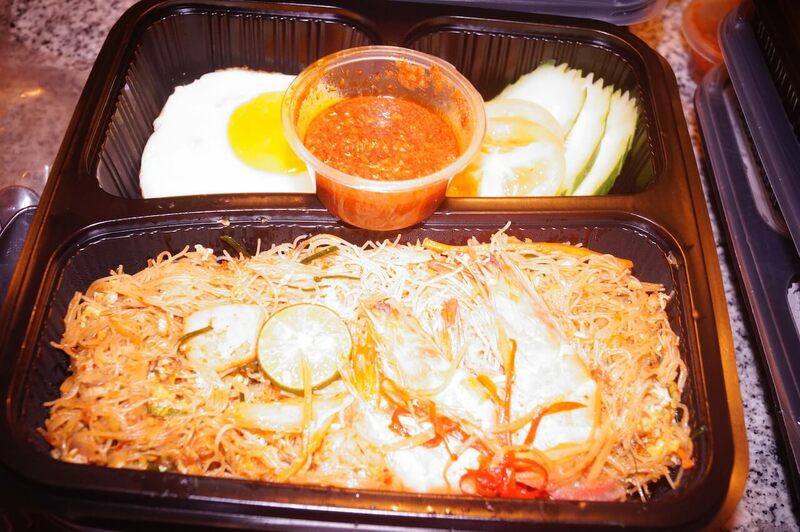 The cost of delivery is also reasonable (RM4 per delivery anywhere in the Klang Valley) and the deliveries are made within 90 minutes after the online order is placed. The food come in disposable microwaveable boxes. Considering that parking is a hassle in most places and petrol prices have gone up, RM4 is affordable for most families and office colleagues who jointly order their lunch boxes. 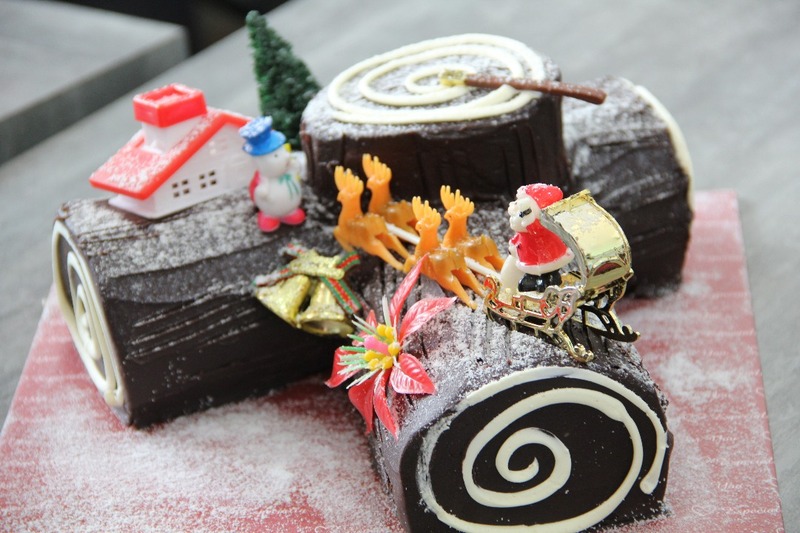 It is also a great idea for Christmas get-together or Pot Bless (some call it ‘Potluck’) dinners where each family is expected to bring a dish each to share and do carolling together. 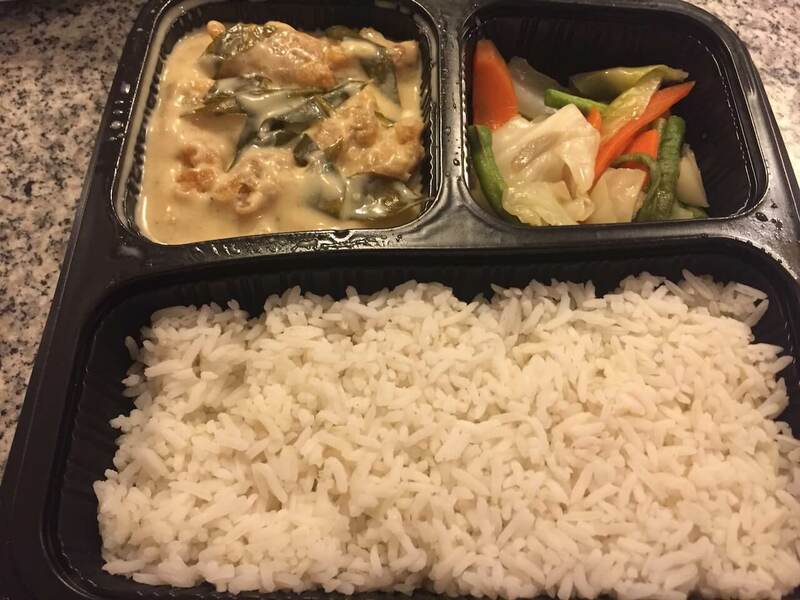 Recently, I was offered to do a review of online food by Mammam Deliveries, which has a central kitchen in Petaling Jaya Commercial City (PJCC). I particularly like the idea of their online orders for “dish only” local cuisine which is halal, and the beautiful thing was that it also caters to small group gatherings. Food is delivered straight to the home where the gathering is held. At a public speaking skills for a group of young children whom I am coaching, parents come together. The initial plan was to meet at 8pm after dinner, but when the offer came from Mammam Deliveries, I thought it was a great idea to have the food reviewed by the mothers and children themselves. After all, being a working Blue Monday for most parents, Mammam’s signature meals came in real handy. If they had delivered to my home, I would have the hassle of inviting family and friends to come and help finish up all the food. The response? Generally the feedback from parents and children was positive especially for certain dishes. 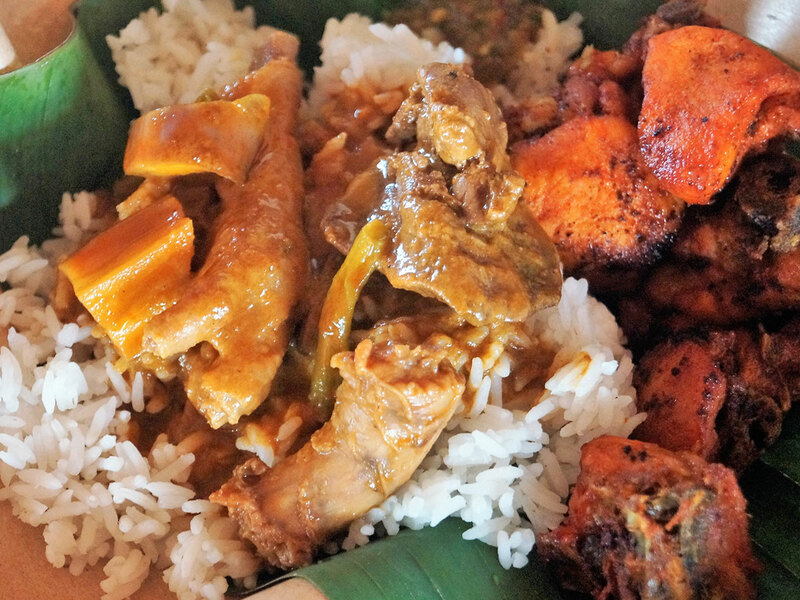 I particularly like Mammam’s Butter Chicken with white rice (RM15.00), the Chicken Rendang Nasi Lemak (RM16.90) and the Tom Yum Fried Rice (Spicy) (RM13.11). 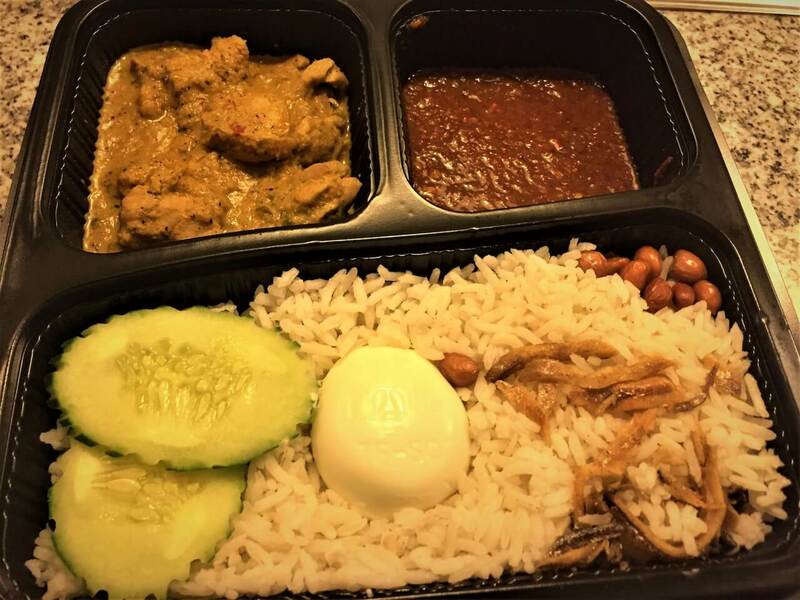 I would give Mamman Deliveries the thumbs-up for all three meals, especially their Chicken Rendang Nasi Lemak, being a fan of chicken rendang myself. 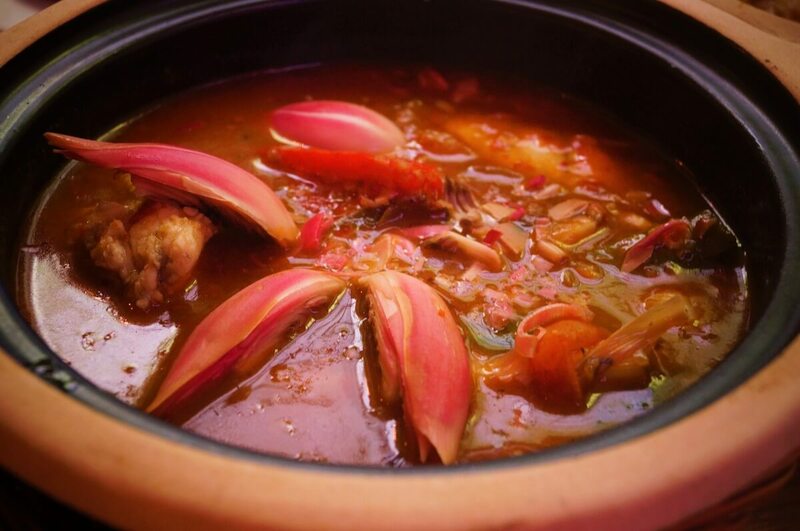 A pleasant surprise was when a mother, Elaine Xie who hails from Shanghai said that she likes the sambal. adding that she would prefer having acar (pickled vegetables) instead of normal vegetables. Unfortunately, I did not get to taste the Chicken Chettinad (Varul) (RM15.90), the Indian Fish Curry with White Rice (RM17.90), Nasi Lemak Goreng (RM15.90) and Mee Hoon Goreng Tom Yam (RM15.90), but others tried them and their comments are on a simple video that I produced. 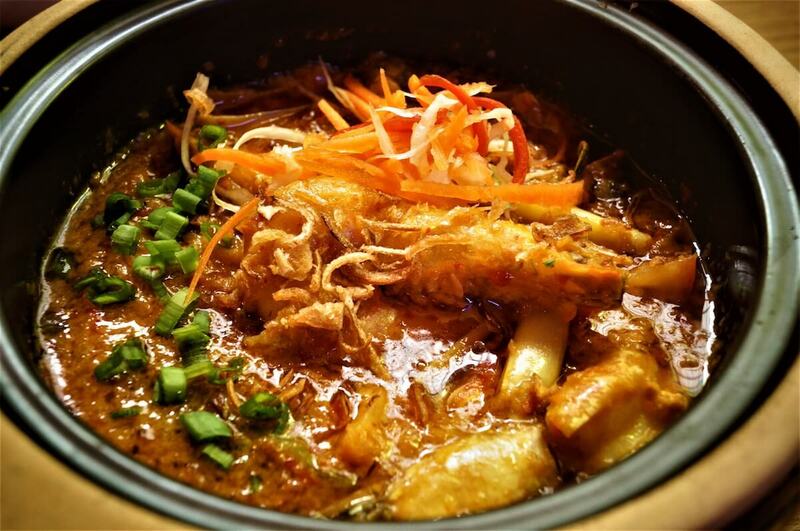 Besides over 30 dishes (Vegetarian, Indian, Thai, Malay, Chinese and all-time Malaysian favourite) to choose from, Mammam also has a wide variety of other cuisine and cookies. Mammam Deliveries can be accessed online at https://www.mammam.com.my/. With the number of food reviews that I have done, sometimes, it is a real tough decision just thinking what to eat for a simple dinner. Malaysians are truly blessed with a wide variety of choices. Being the melting pot between East and West, for the foodie fan have some of the widest variety of food choices to satisfy the taste buds. Craving for a good plate of Nasi Briyani, I noticed one particular Indian Muslim (Mamak) restaurant which was listed on top ten Nasi Briyani by TripAdvisors. Honestly, I have always seen lots of people there, but never attempted to try out the food until I started reading the reviews by others. Lesson learnt from here: Never underestimate what appears to be just an ordinary cornershop Mamak restaurant like Restoran Mahbub is capable of producing. Here, although I can find better nasi briyani elsewhere, it is their signature dish, the honey chicken (ayam madu) which gets my thumbs-up all the way. 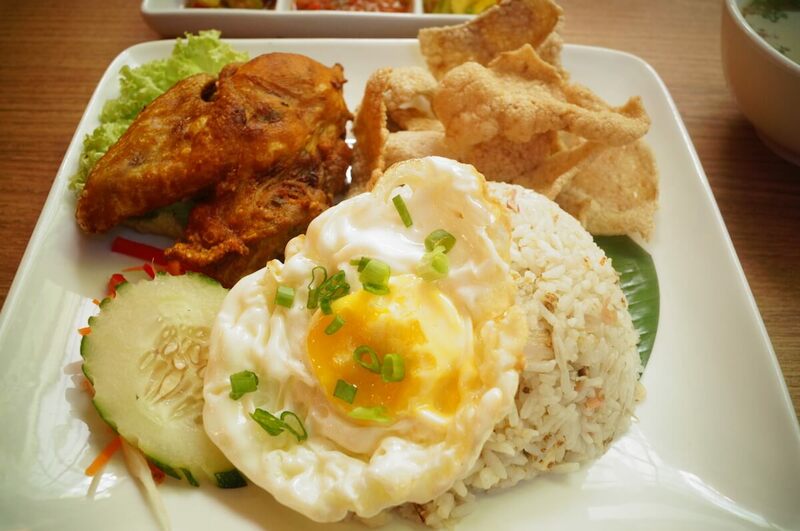 A plate of nasi briyani and honey chicken is RM15. 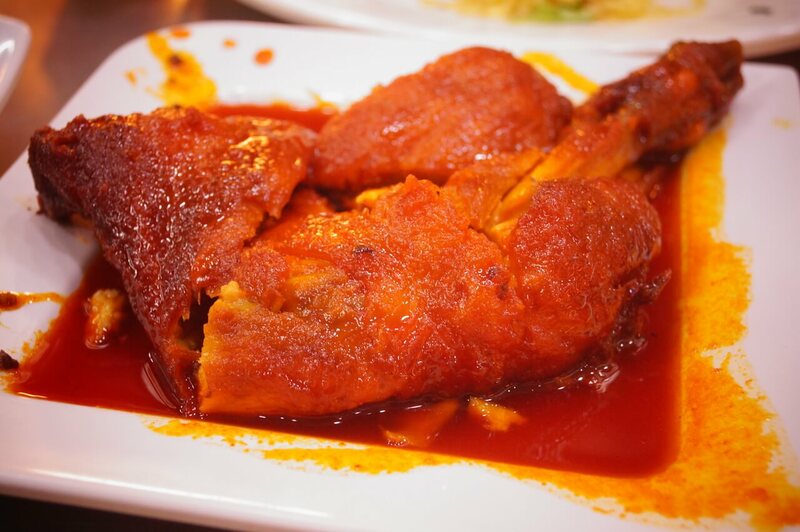 Although being health conscious, I try to cut down on sugar, here they use honey and perhaps a little bit of chilli to prepare the chicken drumstick. The moment I took the first bite, my eyes brightened up and a smile spread across. It was indeed delightful and so “refreshing” to have a delicious piece of chicken after a stressful day. This is one which I think has a lot of potential to satisfy many taste buds. 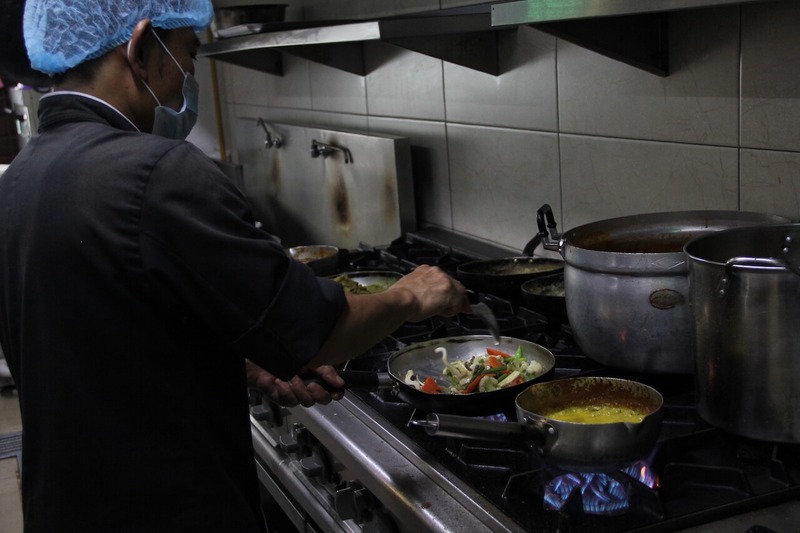 Let’s put it this way – when you walk into Restoran Mahbub, you have not really enjoyed the food here until you try their honey chicken. 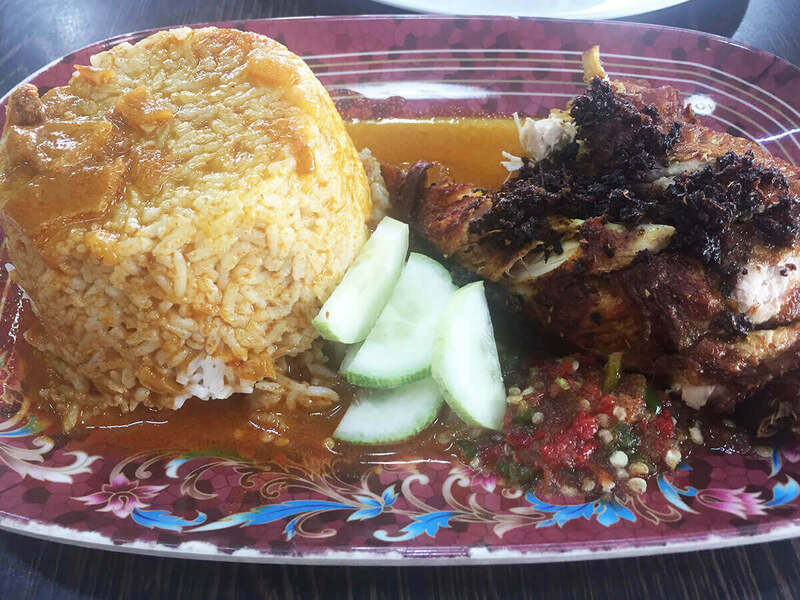 According to 32-year-old owner, Omar Farook Ali the Nasi Briyani Ayam Madu (Honey Chicken Briyani) has become the best signature dish since 1974, the year when his grandfather, Mohammed Yusuff first set up the restaurant in Bangsar. 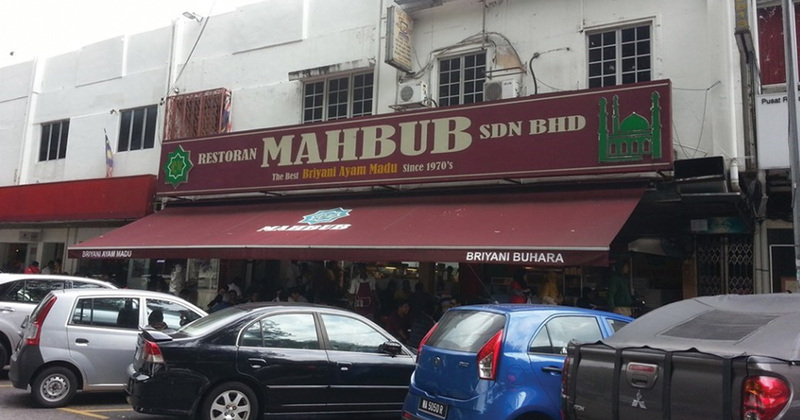 It was known back then as Restaurant Sharifa, but it became officially known as Restoran Mahbub in 1995. It was followed up by their Nasi Briyani Ayam Bukhara (RM15.50), which made its first debut in 2000, something that we will try later. By the time were there, they had run out of the Nasi Briyani Ayam Buhara. However, my 9-year-old boy whom I encourage to develop his own opinion, likes his nasi briyani differently. 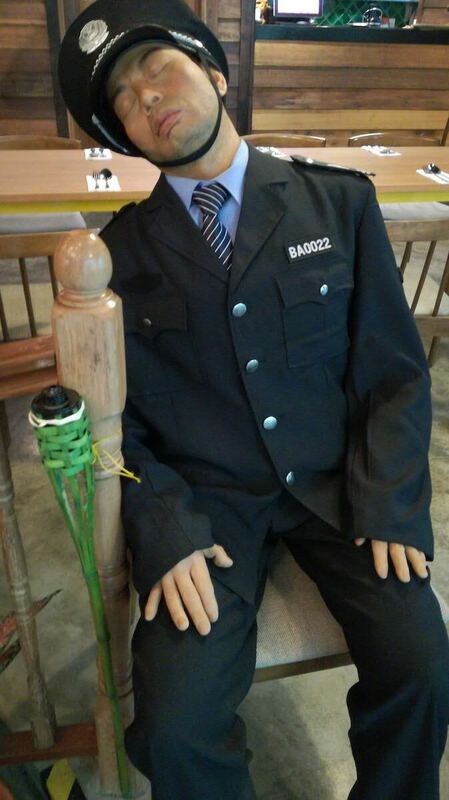 He prefers it with his favourite fried chicken (RM15 a plate of nasi briyani and fried chicken). See his blog. 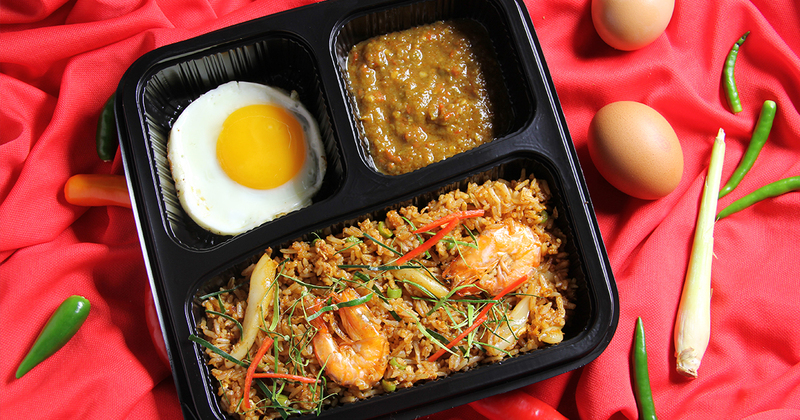 For those who cannot travel that far to try their nasi briyani, it is possible to buy their Briyani Box, which can be ordered and delivered to the home. 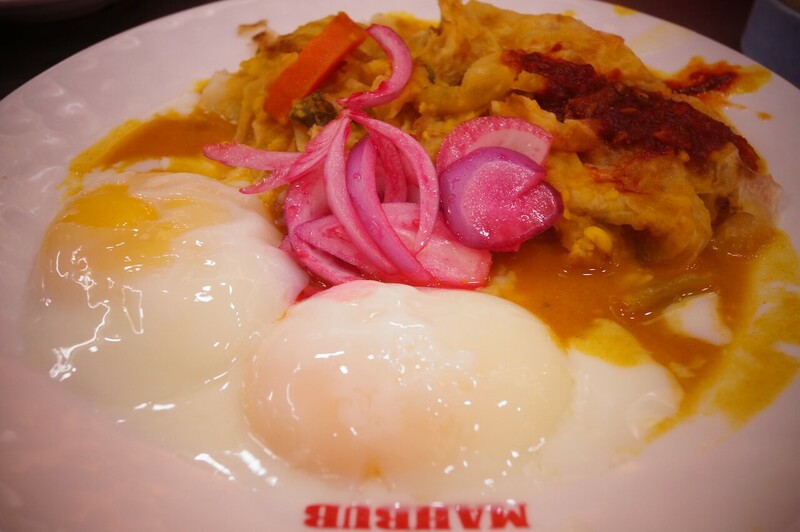 Or, those living in and around Damansara Damai will find Restoran Mahbub’s second outlet within their reach, and better still, it is open 24 hours seven days a week. Using waze, this is accessible for outstation guests who are using the New Klang Valley Expressway (exit at Sungai Buloh). 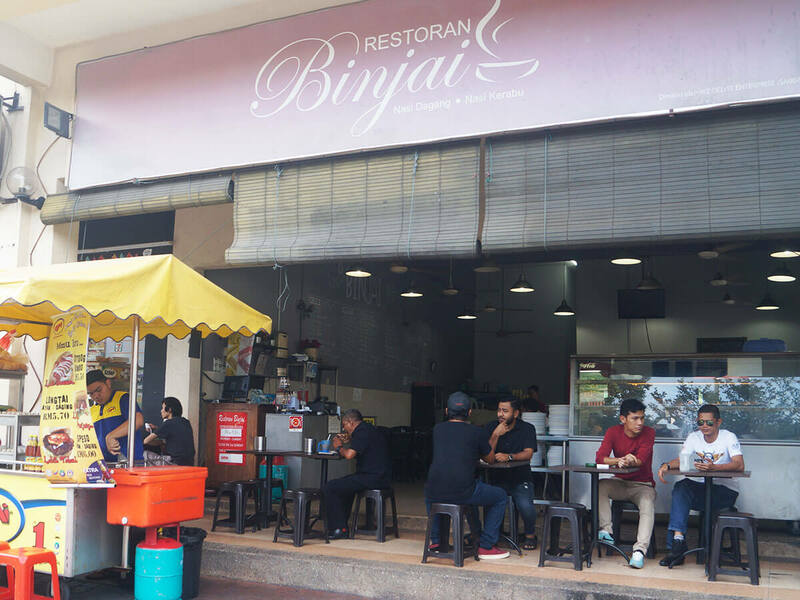 Even this restaurant has been operating since 2004 after Omar’s father Datuk Seeni Abdul Kadhar and his sibling Mohamed Sidek further developed the family business. 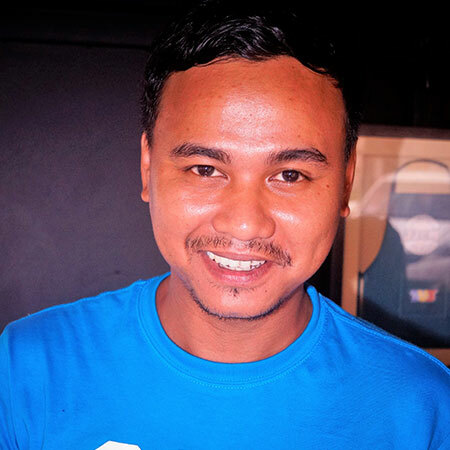 With Omar as the third generation helming Restoran Mahbub, there are currently attempts to modernise it. Apart from their nasi briyani, I would also recommend their Roti Canai Special. Although I would usually take thosai, their Roti Canai Special (RM4) is great way to give the roti canai an innovative touch but what is important is that the taste, too, was good. 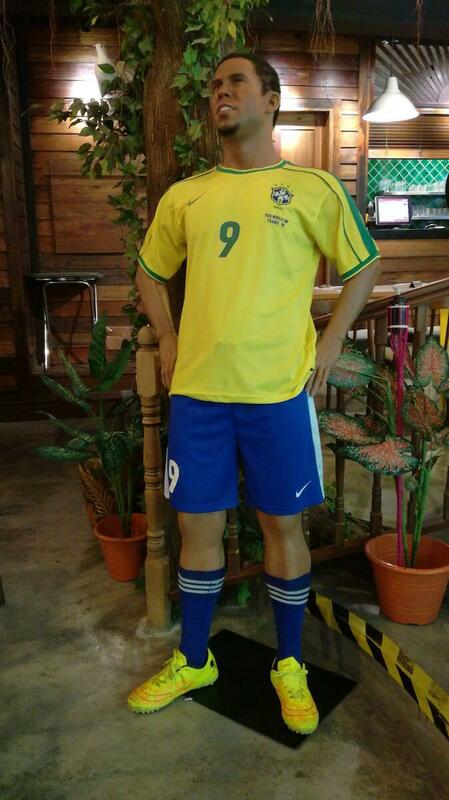 The Damansara outlet is located at L-013A, Jalan PJU 10/2A, Vista Shop Damansara Damai, Sungai Buloh. Bangsar outlet is located at No. 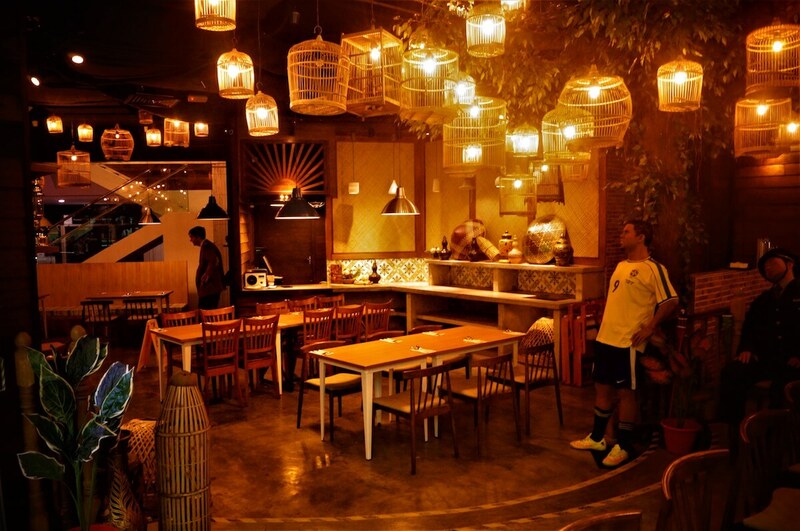 15-17, Lorong Ara Kiri Satu, Lucky Garden, Bangsar. Tel: 012-6231 786 (For Catering Service).